How Will I Know When Acupuncture Treatment is Helping Me? 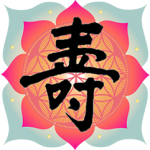 Thank you for dropping into my world of Traditional Chinese Medicine (TCM) and Akashic Acupuncture. I view life from a Taoist perspective of living in harmony with paradox, the seasons and the cycles of change. I also take an Akashic viewpoint where the soul is eternal, we live many lifetimes and that our lives and lessons to be learned are part of a divine plan, whether we like it or not. I see each individual as a multidimensional universe striving for meaning and wholeness. I also think that we take ourselves far too seriously—I should know being a Scorpio! However, I have found grace in humor and joy in crazy wisdom. Healing, by the way, is an inside job which can be accelerated by knowledgable, caring and curious practitioners, like myself, as allies. My greatest allies have been found in Nature and and her flora and fauna. My commitment is to help relieve pain, suffering and confusion through the healing tools and techniques of Chinese Medicine and to create a clearer understanding of how/why we got to this place through Akashic Acupuncture. My role is that of witness and facilitator to help empower others on their path to aliveness. I have been practicing TCM for 30 years and reading the Akashic Records for 23 years. The past 19 years I have been living and practicing in Tucson, AZ; having practiced 10 years in Port Townsend, WA, and receiving my training and OMD (doctorate in Oriental Medicine and Acupuncture) in Orange County, CA, and Beijing, China. I was one of the co-founders, with my Scorpio-composer husband, Alex Holland , of the Asian Institute of Medical Studies that has merged with the Arizona School of Acupuncture and Oriental Medicine. The big news is that I will be closing my practice in Tucson the end of February, 2019, and Alex and I and our three cats will be heading down to Ajijic, Lake Chapala, Mexico, just south of Guadalajara, May 1, 2019. I will no doubt continue practicing down south, for those who want to come and visit, but I will be offering Akashic healing consults via Skype. I will record our adventures and insights via my blog here. We are all on a unique journey seeking optimal ways of being who we are within the life we have manifested. This can be a challenging experience requiring support along the way. I offer a skillful hand and an open heart, believing that all healing is homecoming. I thank all of you who have entrusted me on your healing journey and look forward to continuing to assist you as I can from a distance.